Our focus is to make the RIEC a fun and safe experience for our riders, spectators, horses, trainers, grooms, staff, and vendors. To that end, we will be restricting horses from certain areas as well as restricting spectators from certain areas. In the diagram above, areas with a green color are for spectators only—no horses will be allowed in those areas at any time. Areas with a blue color are for horses, riders, trainers and grooms only—no spectators (and no dogs) will be allowed in those areas at any time. 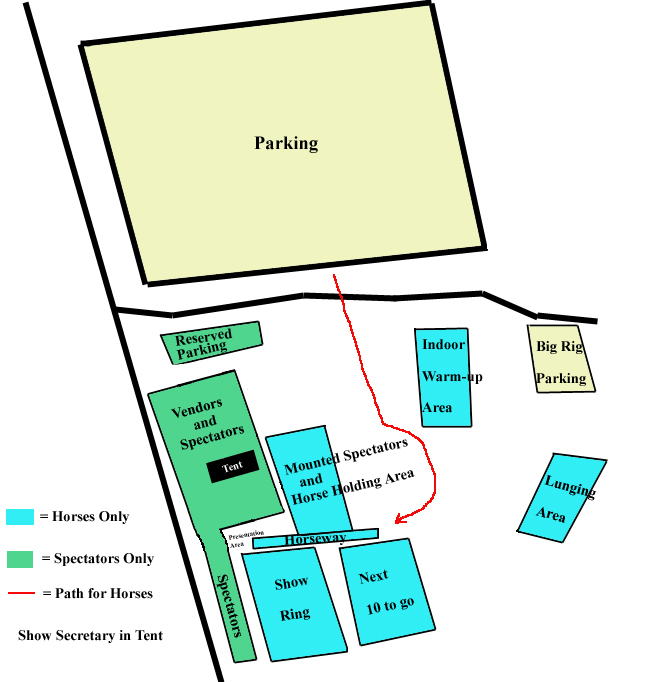 The red line is the ONLY route for horses to get down to the indoor ring, the lunging area, the holding area or the schooling area. Horses are not allowed to cut through the grass area near the tent AT ALL!!! We will also be using a system where the schooling area will be limited to the next 10 to go. There will be an in-gate keeper at both rings. 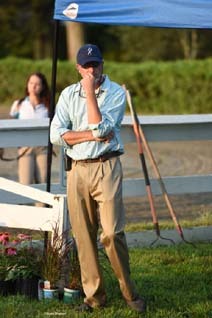 Riders can also warm up in the indoor ring prior to entering the schooling ring if they want to. The “horseway” ramp will ONLY be used for horses entering or exiting the show ring. The next two to go can stand in the horseway to watch if their horse/pony can stand quietly.